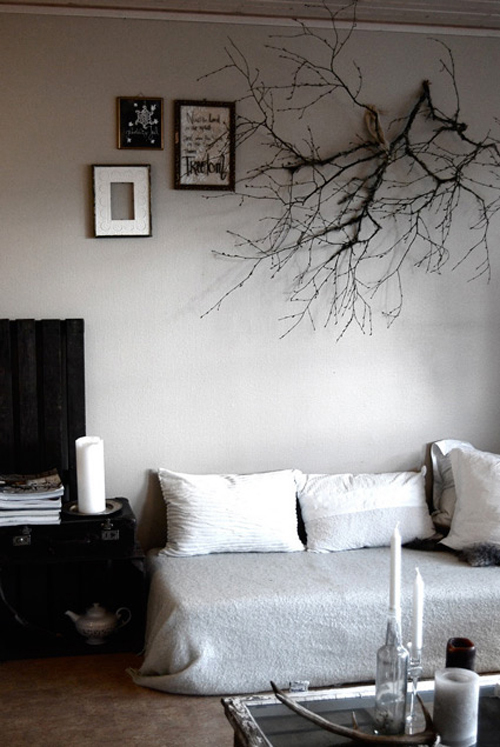 Today I’m loving … this branch as wall decoration. hey danielle thanks for your inspiration every day! (especially for me as an interior designer ;o) So good!! I hope it’s okay, that I posted your link on my blog today…?! They are so versatile and can be made into super cool “display” supports. Very cool. Nice branch, too. A friend of mine always uses branches in her wall art displays for shows. Works well. Love it! I like something different. Danielle, I wish you a happy, loving and peaceful 2011! thank you all for your kind words! so happy to hear that you enjoy my blog! It is a great idea,specially if you will add some glitz and decor to give life for the branches to look more beautiful.And make sure that the branches are strong for a long wall decor.